Celebrate this Mother’s Day by spoiling her with some much-deserved TLC. 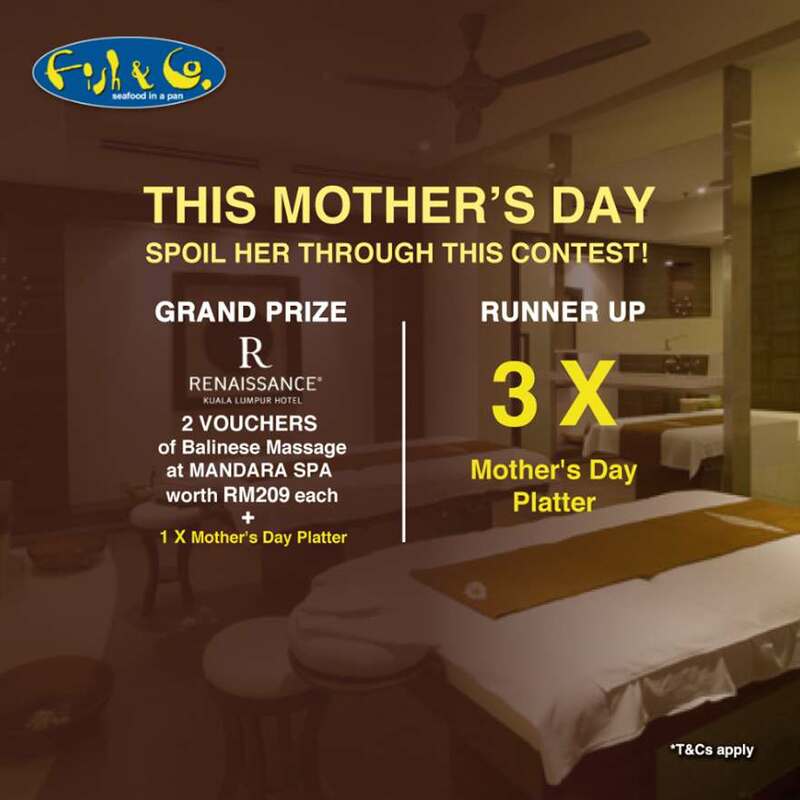 Pamper her with a wonderful Balinese Massage worth RM 209 at Renaissance Hotel and end it with a fin-tastic Mother’s Day Platter. 2. In ONE sentence, tell us ONE reason why your mom deserves this surprise! Find out more at Fish & Co. #Malaysia.